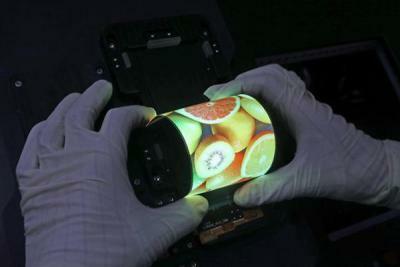 According to China Daily, BOE started producing flexible OLEDs at the company's new 6-Gen fab in Chengdu. BOE's new fab has a capacity of 45,000 monthly substrates - enough to make around 90 million smartphone sized AMOLEDs annually. It's likely that BOE only started pilot production currently, as earlier estimates were that full production will only begin towards the end of 2017. According to the report the total investment in this new fab will reach $6.75 billion - higher than earlier reports of around $3 billion (more on this below). 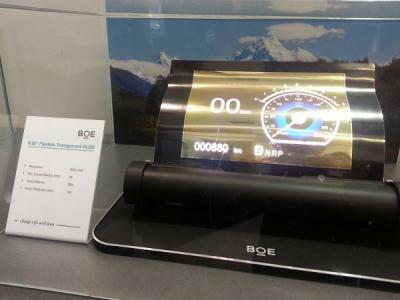 BOE is the second company in China to launch flexible OLED production. In April 2017 TianMa announced that it has started to produce both rigid and flexible OLEDs at its 6-Gen LTPS AMOLED fab in Wuhan. In addition to this fab in Chengdu, in October 2016 BOE announced another 6-Gen OLED fab, in Mianyang. The Miangyang fab will also have a similar capacity of 45,000 sheets per month and will enter production in 2019. Total investment in the Miangyang fab is estimated at 46.5 billion yuan ($6.87 billion USD) - which may be the source behind the discrepancy noted above. In May 2016 BOE Display demonstrated several new AMOLED prototypes - including a 4.35" bendable and foldable OLED displays. The bendable panels offer a resolution of 1120x480 (HWVGA, 280 PPI) and a bending radius of 15 mm. The brightness is 350 nits. The color gamut is 100% NTSC. The foldable panels are the same - except the bending radius is much smaller at 5 mm. In June 2015 BOE Demonstrated larger flexible OLEDs - including a 9.55" 640x432 transparent flexible panels and a 4.8" 480x800 panel.